Blinken, Anthony J. Addabbos Race: The Politics of Color Consciousness." The New Republic (15 October 1984): 12(2). Klein, Joe. Joe Addabbos Brave New World. (Congressman Joe Addabbo of Queens)." New York (27 August 1984), 30(3). Kuttner, Robert L. Congressman Joe vs. the Pentagon." New York 12 (February 12, 1979): 61-66). 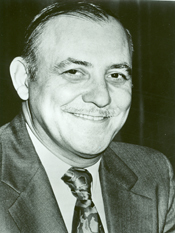 Memorial Services Held in the House of Representatives and Senate of the United States, together with Tributes Presented in Eulogy of Joseph P. Addabbo, late a Representative from New York, Ninety-ninth Congress, Second Session. Washington, D.C.: U.S. Government Printing Office, 1986. Ralph Nader Congress Project. Citizens Look at Congress: Joseph P. Addabbo, Democratic Representative from New York. Washington, D. C.: Grossman Publishers, 1972.